The fruits of summer are some of my favorite things! Not to mention hot dogs & hamburgers and yummy ice cream. I think I've had my fill of all celebrating the 4th of July and several grandchildren's birthdays. I hope everyone enjoyed a safe Independence Day and are keeping cool in the hot weather! Debra Kerper began her Trendsetter entry with this line: "A friend of mine is the mother of a 19-year-old daughter with spina bifida and she had a dream ... to take a group of young adults with spina bifida on a cruise so they could experience travel like their able-bodied peers." Kerper and her friend - just the two of them working alone - worked for nearly a year in order to make this dream happen and, on Jan. 7 of this year, the group set sail on Royal Caribbean's Independence of the Seas with 58 very excited cruisers. This effort is the reason Kerper was picked as the Trendsetter Award winner for Best Group Booking Sales Effort. Kerper, herself an amputee, is dedicated to promoting accessible travel for those with physical challenges. "Being acknowledged with this award allows people in the industry to understand how important it is to provide an accessible world. Progress has been made, but we have a long way to go. Everyone deserves the opportunity to travel and to be treated with dignity and respect when they do." Kerper's work has opened the world of cruising to many people with special needs who may never have believed travel was possible for them. Through her efforts, these clients have proved to themselves that they are capable of exploring the world. "I love my job. It affords me the opportunity to combine my love for people with my love for research, as well as being able to put a smile on a person's face," said Kerper. "It continues to be the profession for me because of the many intangible rewards I receive on a daily basis from showing my clients how they can travel when they never thought it was possible." Yes, you are reading correctly. July is the perfect month to plan your Christmas vacation. Now is the time to book your cruise or land package and secure your air flights if you haven't already done so. Unfortunately, air rates are at an all time high and I don't see a decrease on the horizon any time soon. This is a great time to use those frequent flier miles if you can find availability. Be flexible with dates and times for the best choices. The high cost of air travel has led some cruise lines and tour operators to offer excellent deals to lure customers their way. Besides the usual vacation ideas, have you considered a trip to Europe to visit the Christmas markets to do your holiday shopping? 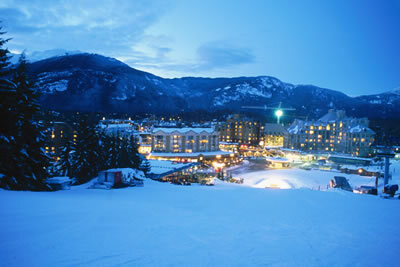 Perhaps winter sports are your thing so a trip to Colorado or Vermont is in order or maybe even the Swiss Alps! We are always happy to help you sort through the many choices and find a vacation that's just right for you. We look forward to the opportunity to help you achieve your travel dreams. Be sure to visit us in Booth 517 and attend our workshop on Traveling the World: Tips for Travelers with Disabilities & Seniors. Saturday, August 3 at 1:00pm. Limited number of accessible cabins still available. Reserve your cabin now! Space is very limited. Only 2 accessible cabins remain so book yours now! We do have regular cabins available. 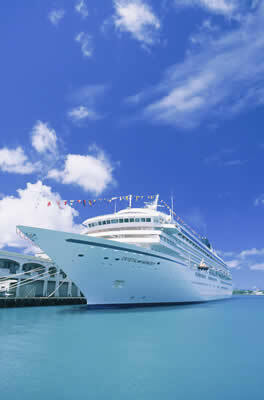 reservations for the second Spina Bifida Young Adult Cruise, Mar. 23, 2014 on RCCL's Freedom of The Seas, round-trip Port Canaveral. Accessible Cabins are currently sold out but call and get on the waiting list. Also, if you can take a standard cabin, please call and reserve your space now as we have plenty of those available. Let us do a Group Cruise for your organization!